This is long overdue, but I want to share information so you can add me on Wii U and 3DS. I play both quite often and would love to interact with visitors to NintendoFigures! 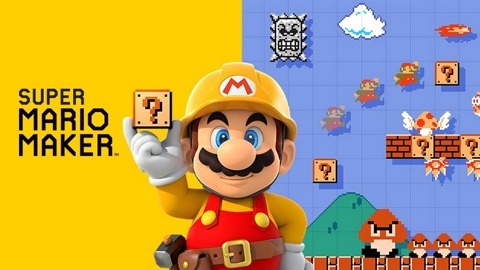 I have also been working on some levels in Super Mario Maker and would love to have more people play them and give me feedback, especially on the difficulty. This level is based around Lakitu, but features plenty of ground-based enemies. The level gets progressively harder as you go through it, but is meant to be fair. It is also not meant to be as challenging as my next level. My inspiration for this level was some of the last levels in the Pipe World in Mario Bros. 3 which feature very tight platforms, big jumps, and a lot of tricky enemies. This level is pretty tough, but I wanted it to feel like the castle of the very formidable Sledge Bros. If you would like me or other visitors to Nintendofigures to check out your levels, please post the level codes in the comments and I will be happy to play them, star them, and offer feedback if you like. I look forward to seeing your levels and seeing you in Nintendo games too!